Our roll up road signs are portable and highly flexible, thanks to their ability to be collapsed and stored for easy transportation. These flexible road signs also have a range of uses for several businesses and organisations, including highway maintenance companies, emergency services, local authorities and more! 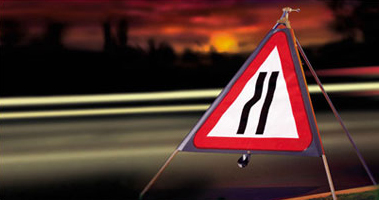 These roll up road signs are manufactured to Chapter 8, of the Traffic Signs Regulations and General Directions 2002 (TSRGD). The signs operate between -5°C and +30°C, and provide highly stable performance in poor conditions, as per wind tunnel testing. BEFORE ORDERING, PLEASE CHECK THAT THESE SIGNS ARE SUITABLE TO FIT YOUR VEHICLE! For further information about how to reach us, or to view our international phone number, visit our contanct page.